It surelly looks rare. But is a spider? Thanks for comments to all of you, guys! 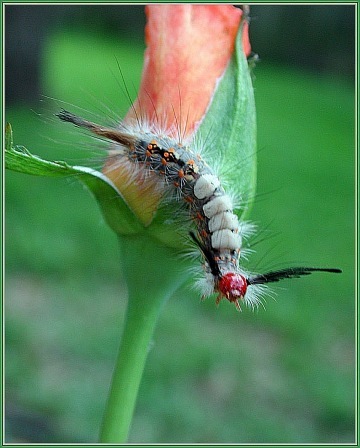 to #2: It is a caterpillar( of moth, I guess). If you are interested, I can find Latin name too. Great composition - Great idea, difficult to realize such a beauty - Very beautiful shot!